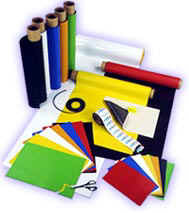 Raw flexible magnetic sheet without any lamination. Plain magnet sheet coated with self adhesive film. material, used as a metal base on which magnets can attract.